Description Anacetrapib is a potent, selective, reversible inhibitor of rhCETP and mutant CETP(C13S) with IC50 values of 7.9 nM and 11.8 nM, respectively. 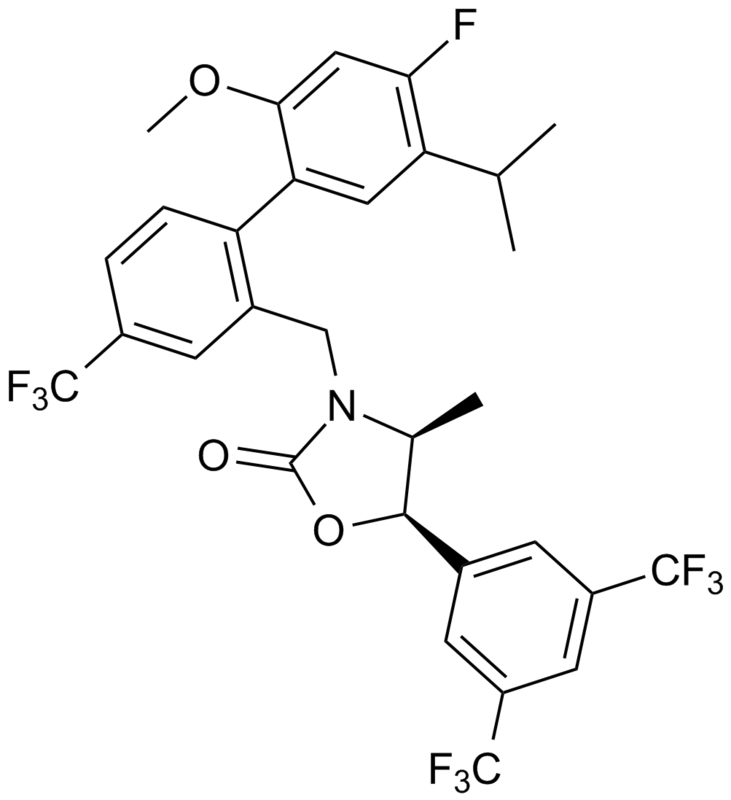 Anacetrapib, also known as MK-0859, is a potent and selective inhibitor of cholesteryl ester transfer protein (CETP) that exhibits strong inhibition against CETP-mediated transfer of cholesteryl esters and triglycerides with values of inhibition constant IC50 of 16 nM and 29 nM respectively. Anacetrapib is mainly metabolized by CYP3A4 through O-demethylation, hydroxylation on the biphenyl moiety and hydroxylation on the isopropyl side chain resulting in three oxidative metabolites M1, M2 and M3 respectively. 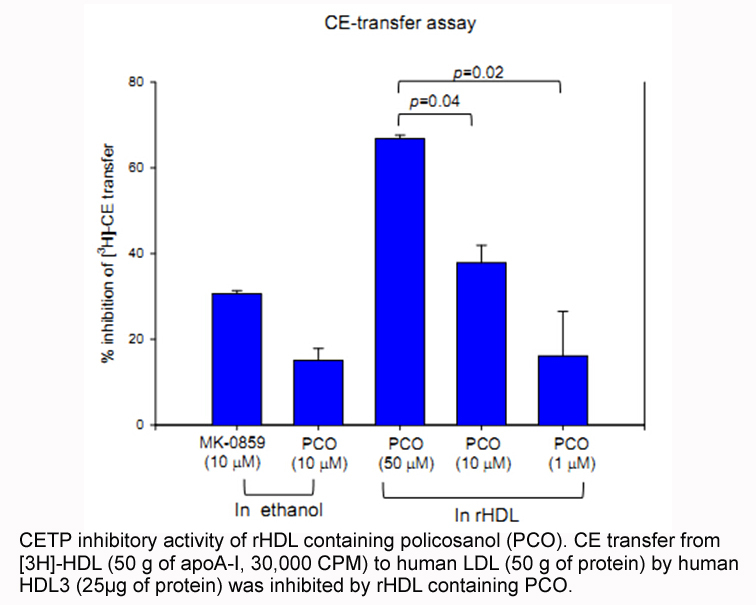 Anacetrapib is being investigated for the treatment of primary hypercholesterolemia and mixed hyperlipidemia due to its impressive effects to lower low-density lipoprotein (LDL) cholesterol levels and increase high-density lipoprotein (HDL) cholesterol levels without any associated major adverse events. Tan EY, Hartmann G, Chen Q, Pereira A, Bradley S, Doss G, Zhang AS, Ho JZ, Braun MP, Dean DC, Tang W, Kumar S. Pharmacokinetics, metabolism, and excretion of anacetrapib, a novel inhibitor of the cholesteryl ester transfer protein, in rats and rhesus monkeys. Drug Metab Dispos. 2010;38(3):459-473.